In 1995, as a language arts teacher, O’Donnell-Ames turned to books first, searching for one that could help her explain things to Alina. There weren’t any. Nor could she find a support network for kids whose parents had ALS — the progressive neurodegenerative disease also known as Lou Gehrig’s Disease. Today O’Donnell-Ames offers such resources through her own nonprofit. But back in the late ’90s, pulled between a toddler who was gaining skills and a husband who was losing them, she says she really could have used them herself. After Kevin died in 2001, O’Donnell-Ames eventually met an ALS widower, Warren; they were married in 2004. He had two children, Nora and Adam, both about Alina’s age. “My goal became raising three kids who were all grieving, and getting all five of us in a good place,” says O’Donnell-Ames. At some point in that healing process, she says, she realized that it’s hope — not misery — that loves company. 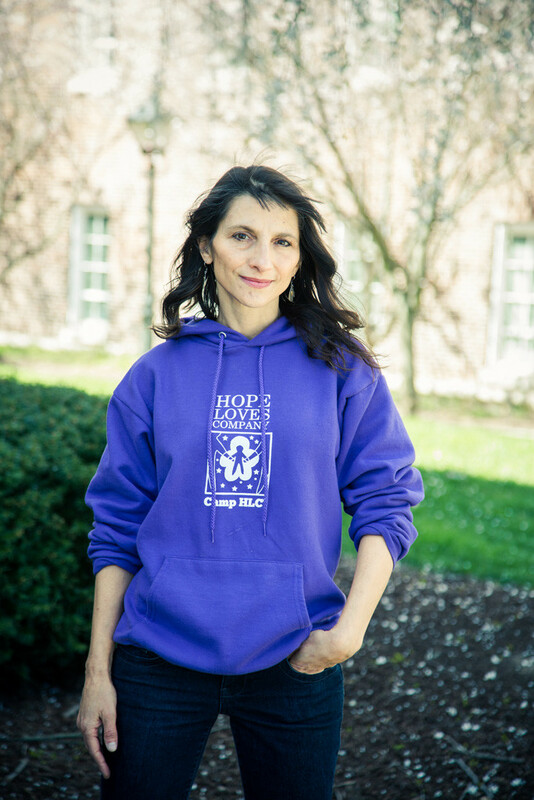 The revamped maxim became her inspiration for Hope Loves Company, the nonprofit she founded in 2012 to support kids whose family members have ALS. “The whole purpose is for these children to realize they’re not alone,” she says, noting that because ALS is so rare, kids don’t normally know anyone else in their situation. As she spoke, O’Donnell-Ames was getting ready to call an 18-year-old whose mother was at the end of a battle with ALS. She makes similar calls daily. The conversations are difficult, but they illustrate what O’Donnell-Ames’s sees as her mission: channeling her own grief into action.